About — Dennis M. McCoy & Sons, Inc.
Dennis M McCoy & Sons, Inc. was founded and began operating in its current iteration in 1994 by Dennis M McCoy in Westlake Village, CA. Beginning his career in construction in the late 1960's, while working as a teenager for his father's Southern California-based construction company, Mr. McCoy developed his skills. Under the watchful eye of his father Lester C McCoy, he learned the fundamentals during summer breaks and weekends. This continued until the late 1970's. Over the next 20 years, Mr. McCoy introduced his three sons to the heavy construction and general contracting business while projects including mass grading for the purpose of large-scale commercial and residential development were underway. In the mid-1990's Dennis M McCoy & Sons, Inc. were awarded their first Reclamation contract in the state of Wyoming. During this time, Mr. McCoy saw his 2 eldest sons, Morgan McCoy (President) and Casey McCoy (Vice President), grow into senior management positions, taking over daily operations while Jess McCoy (Sr. Superintendant), is actively involved in the field. 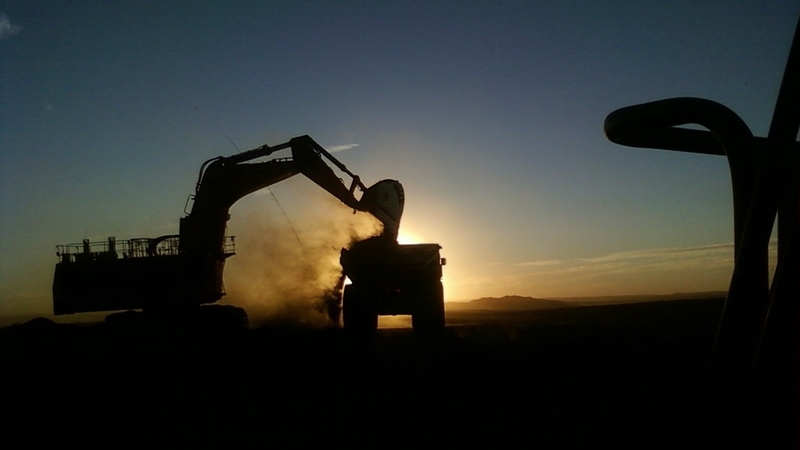 Since then, the business has consistently grown and handled numerous large projects for some of the largest companies in the mining and earthmoving industries throughout the Western United States. Throughout their history, the McCoy family has developed an exceptional staff who are considered extended family (many having worked 20+ years in the organization). 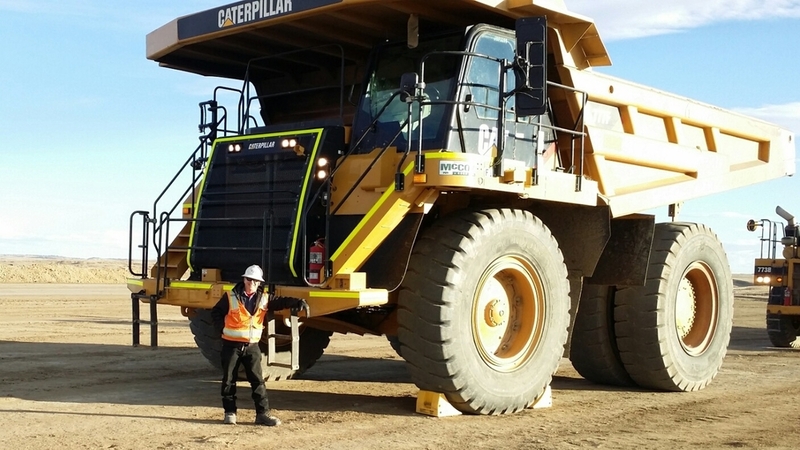 The McCoy's are proud of their accomplishments and firm position within the general engineering and mining industries and are excited about the future. Dennis M. McCoy & Sons, Inc. with its experience, knowledge, staff and equipment has the ability to provide a full production mining service as well as projects of a specific scope. As surface mines are developed, the topsoil is saved as the overburden (dirt and rock covering the mineral-bearing ore) is removed. That topsoil is then used for reclaiming mined areas so that native trees and grasses can be replanted and thrive. The stripping (removal) and stockpiling of topsoil ensures that a good growth medium will be available for replacement (reclaiming) graded areas. Specialized techniques for use in arid and mountainous regions. Creation and re-creation of large natural and artificial body's of water for use in power creation, irrigating land as well as flood mitigation. Care is taken to minimize erosion and runoff where ground cover is temporarily removed using specialized techniques. 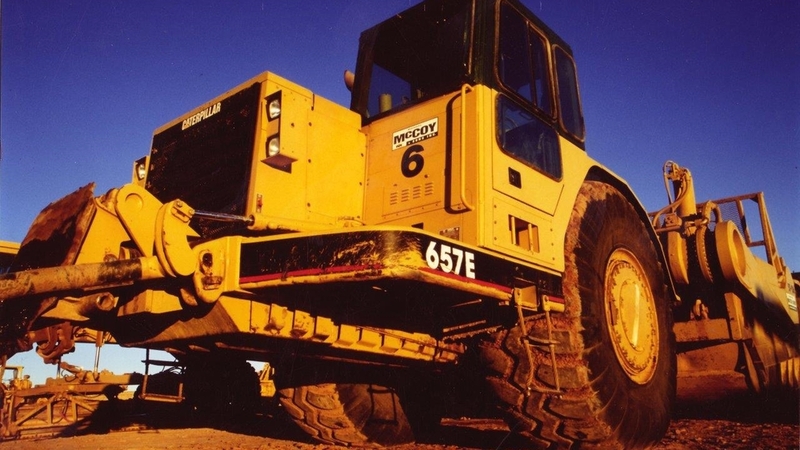 Our fleet is managed and maintained to the highest standards of the mining and earthmoving industries. Our Maintenance staff is comprised of some of the most knowledgeable and skilled technicians in the industry. They Service and maintain our fleet while paying the highest levels of attention to safety and quality. As technology evolves so do we. As part of our commitment to the environment, enhancements to our current fleet include tier 3 engines that meet stringent emissions standards while delivering the power and efficiency our business demands.